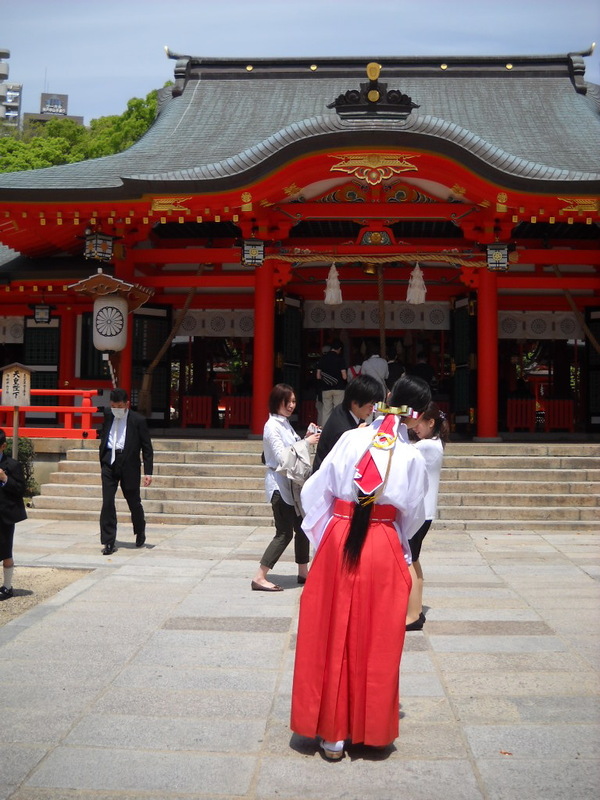 Miko 巫女 is a priestess in a jinja, a Shinto shrine. 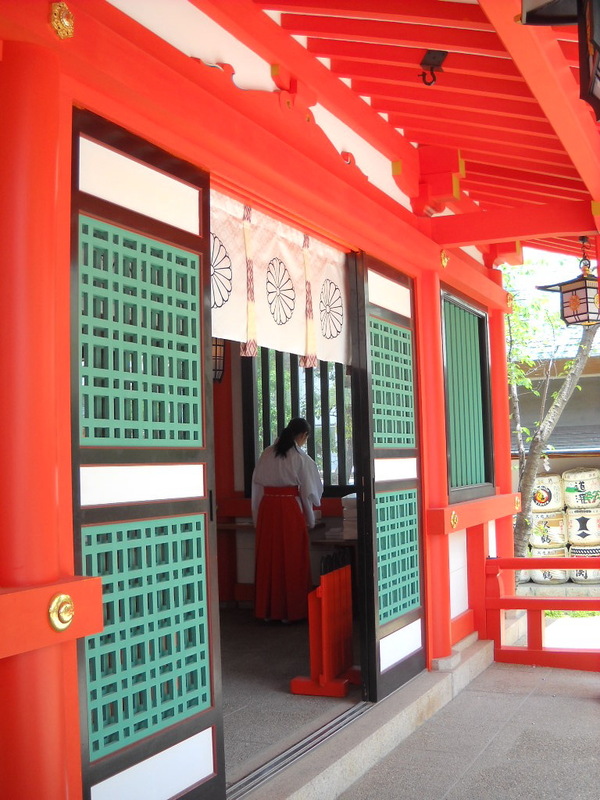 She has a specific role and tasks in the daily life of a shrine. Among other things, she can perform kagura, the sacred dance. 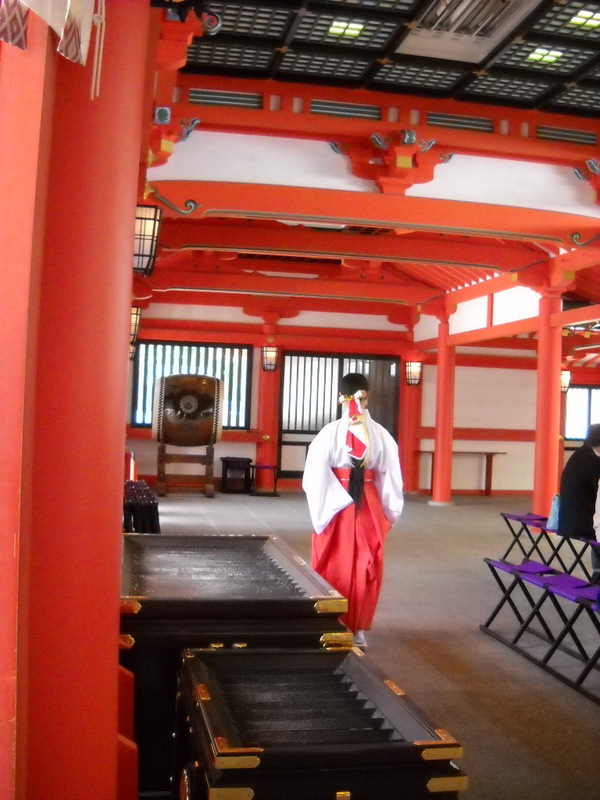 Miko wears a pair of red hakama, white haori, and white and/or red hair ribbons. White symbolizes purity in Shintoism. The kanji 巫 means "medium, foreteller" and 女 means "woman."